BEST Organizered Bag you'll ever own! 1. It makes everything well packed and looks very clean neatly. 2. It helps retrieve items in seconds. 3. It makes changing bags a second. 2. Durable felt,help your bag keeps it't beautiful form and shape, say goodbye to wilted handbags. 3.sturdy handles!! !Easily transports your belongings from one bag to another. 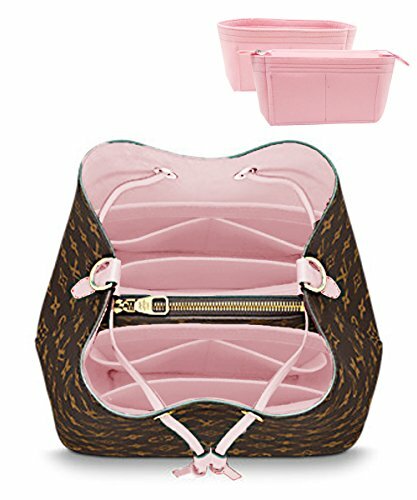 Package:2 packs bag organizer for LV Neonoe.Pretty Easy To Swap Bags Without Any Hassle. Felt Purse Handbag Organizer Made of Sturdy Felt Cloth with High Quality and New , Soft and Pliable ,Lightweight and Well Constructed. If you have any questions about this product by LEXSION, contact us by completing and submitting the form below. If you are looking for a specif part number, please include it with your message.